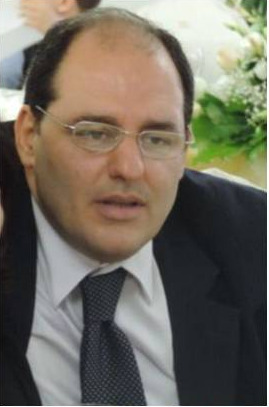 Egidio Imbalzano working as an Assistant professor in University of Messina. Since 1992 – 1997 worked full-time as a resident at the Internal Medicine Department of Messina University Hospital, in accordance with EEC regulations. From 1997-2001 worked in the “In-patient Department” of Radiation Oncology at the Messina University Hospital. From 2001-2006 Worked in the Unit of Medicine and Surgery and Emergency Room of the Messina University Hospital, as chief of medical area. 16. The chance finding at multislice computed tomography coronary angiography of myocardial bridging.Dattilo G, Carerj S, Lamari A, Messina F, Imbalzano E, Di Bella G, Marte F, Patanè S. Int J Cardiol. 2009 Apr21. 18. Biglycan expression in hypertensive subjects with normal or increased carotid intima-media wall thickness. Sardo MA, Mandraffino G, Campo S, Saitta C, Bitto A, Alibrandi A, Riggio S, Imbalzano E, Saitta A. Clin Chim Acta. 2009 Aug;406(1-2):89-93. 21. Progression of myocardial function alterations in hypertensive heart disease. Zito C, Imbalzano E, Carerj S, Saitta A, Cusmà-Piccione M, Di Bella G, Nava R, Ferrò M, Falanga G, Oreto G. G Ital Cardiol 2010 Vol 11 Suppl 1; 142. 22. Smoke exposure and circulating progenitor cells: evidence for modulation of antioxidant enzymes and cell count. Mandraffino G, Sardo MA, Riggio S, D'Ascola A, Loddo S, Alibrandi A, Saitta C, Imbalzano E,Mandraffino R, Venza M, Mormina EM, David A, Saitta A. Clin Biochem. 2010 Dec;43(18):1436-42. Epub 2010 Sep 29. 23. Circulating progenitor cells are increased in newly diagnosed untreated hypertensive patients with arterial stiffening but normal carotid intima-media thickness. Mandraffino G, Sardo MA, Riggio S, Loddo S,Imbalzano E, Alibrandi A, Saitta C, Cinquegrani M, Mormina EM, Saitta A. Hypertens Res. 2011Jul;34(7):876-83. doi: 10.1038/hr.2011.56. Epub 2011 May 19. 24. Left ventricular function in hypertension: new insight by speckle tracking echocardiography. Imbalzano E, Zito C, Carerj S, Oreto G, Mandraffino G, Cusmà-Piccione M, Di Bella G, Saitta C, Saitta A.Echocardiography. 2011 Jul;28(6):649-57. doi: 10.1111/j.1540-8175.2011.01410.x. Epub 2011 Jun 15.